Vanessa Cooksey currently oversees community relations strategies, policies, and procedures to achieve Wells Fargo’s short-term and long-term corporate social responsibility goals. A creative communicator, systems thinker and future-focused strategist, Vanessa leads a diverse team and maintains relationships with key government officials, community organizations, and customers. 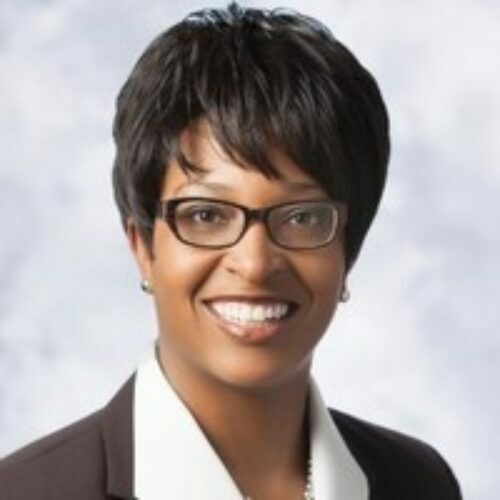 She directs local, regional, and national grant-making budgets and provides regular strategic counsel to line-of-business executives on managing reputation risk and developing products and services for communities where Wells Fargo operates. Vanessa joined Wells Fargo in 2013 after previously serving as the senior director of Community Affairs at Anheuser-Busch Inbev. Prior to Anheuser-Busch, Vanessa was the director of Community and Government Relations for Supervalu in Minneapolis, Minnesota. She has also served in leadership roles for the Cartoon Network, the Atlanta Public Schools, the City of Atlanta and Mary Kay Cosmetics. Vanessa earned her master’s degree in business from Webster University and studied in China, Ireland and Cuba. She has a bachelor’s degree in Radio-TV-Film from the University of Texas @ Austin. She is also a 2016 USA Eisenhower Fellow and traveled to Japan to study preventing elder financial abuse and Rwanda to study women’s leadership. Vanessa has an extensive experience in non-profit board governance. She has led organizations focused on literacy and education, diversity and inclusion, youth leadership and health and wellness. She resides in St. Louis with her mom, husband and young son.